Aclass cruises are widely known as the leading leisure, entertainment for cruising in Halong bay. 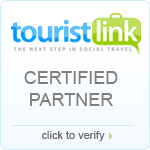 And we have long time working in tourism industry, over 10 years of experience. Now, we bring it to you with the most extraordinary part of the world heritage site, Halong bay. Experience the serene magic of world famous Halong Bay with Aclass Cruise, a boat built in traditional and elegant style. With its topside bar, a gourmet restaurant and a relaxed sundeck in fresh air, not to mention extraordinary levels of service, Aclass cruise offers service with style. 12:00: Arriving in Halong Bay. Get aboard Aclass Cruise ship. Be greeted by Aclass Cruise Crew and Cruise Manager. 12:15: Welcome Cocktail - cruise briefing, safety instructions, check-in cabins. 12:30: Depart to Halong Bay. 14:30: Visit Cua Van floating village by kayak or local rowing boat. 16:00: Drop anchor in the calm water surrounded by beautifulAclass cruises islets for swimming and snorkeling. 17:00: Enjoy the complimentary sunset party on the sundeck with local wine and fresh fruits. .
19:00: Dinner is served in the restaurant. 21:00: Retire to your cabin or join the fishing excursion, watch a movie, have a drink at the bar, internet access or play exciting games. Overnight on board. 07:30: Breakfast, coffee and tea served, while sailing to Sung Sot cave. 08:30: Drop anchor to explore Sung Sot cave (Surprising cave). 09:30: Back to our boat, relax before checking out. 10:30: Lunch is served on board. Ask a question about this activity.